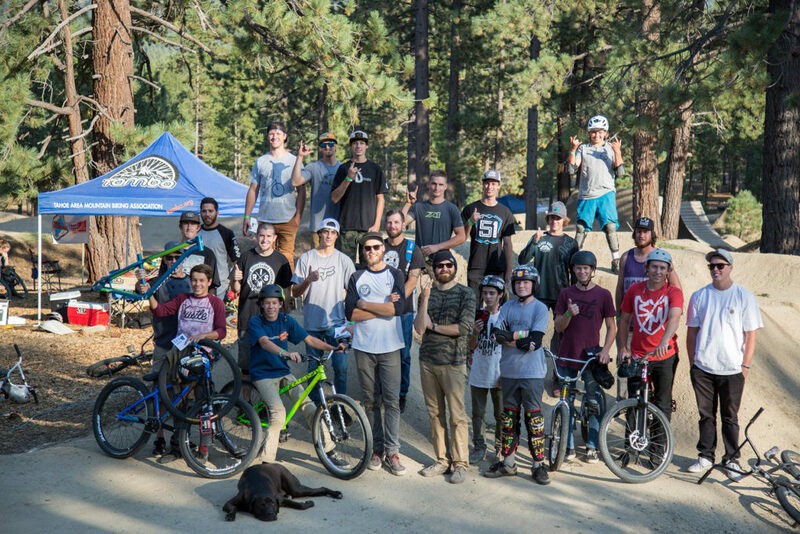 On September 19, 2017 the Bijou Bike Park celebrated it’s two year anniversary! The park has been riding great all season long thanks to the help of many volunteers and our staff of Matt Stuck and Chris McDade. 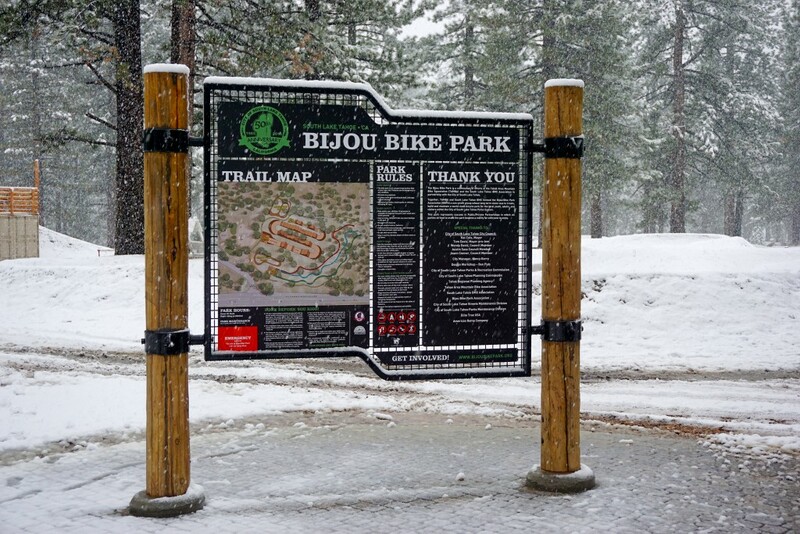 Bijou Bike Park will be open through the fall with winterization happening at the first major snow fall. Please respect all closures of the park during snow and rain. If your tires are leaving ruts, please don’t ride and ruin the park. Bijou is a labor of love and open to the public thanks to the support and donations from riders like you! · A rebuild of the small pump track and inclusion of a Strider zone. 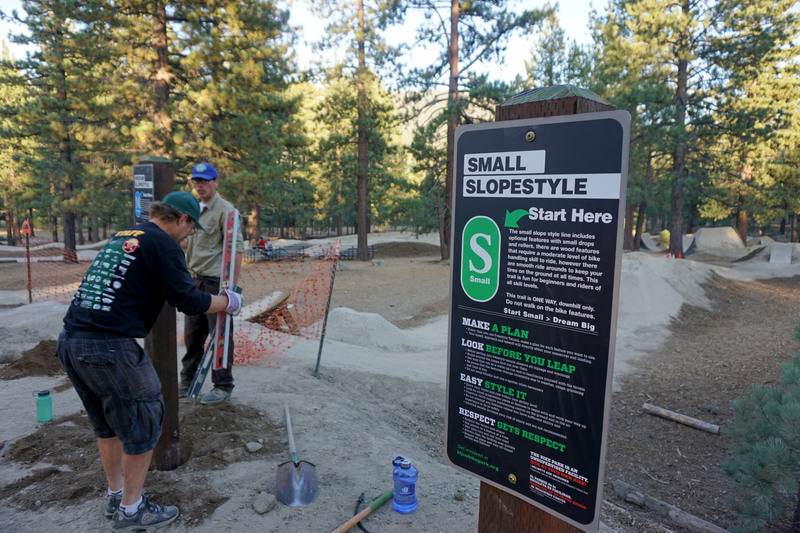 · Sculpting the lower loop trail for drainage improvements and flow trail features. 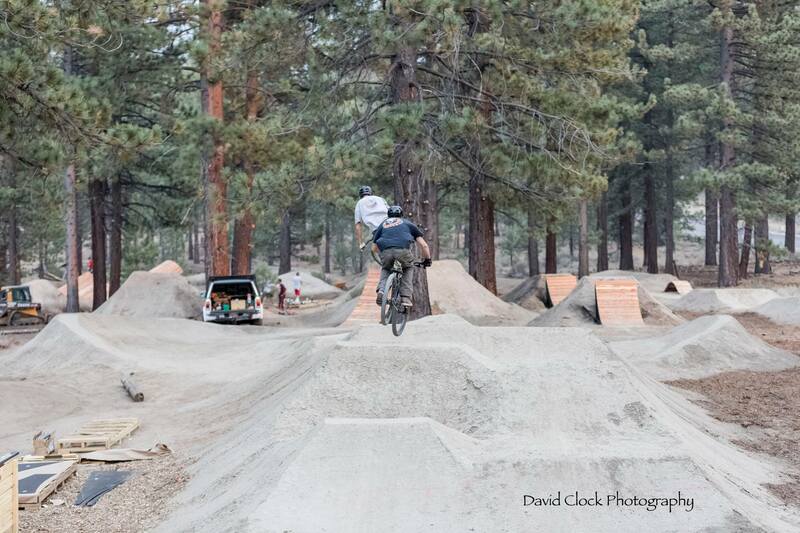 · Reworking the BMX track and resurfacing. · Installation of park signs indicating the features. 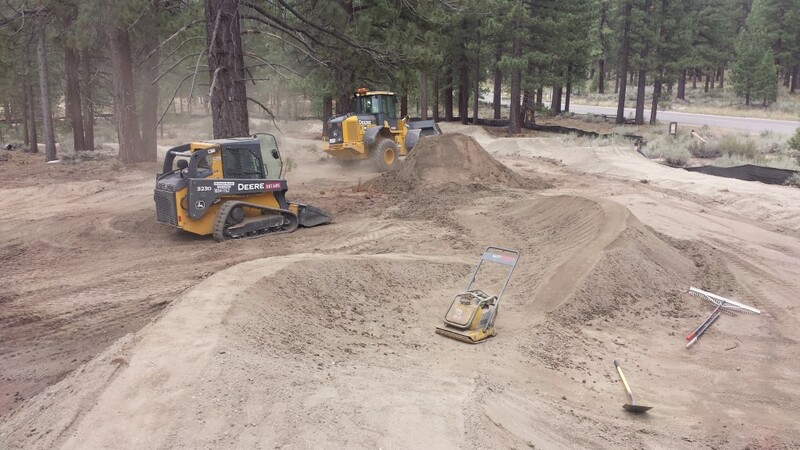 All this work was done with cooperation from the City of South Lake Tahoe, they have continued to help with staff time, materials and delivery of fantastic dirt. The majority of time and money for these improvements was from you, the community. We have spent over $25,000 to pay pro builders and have spent countless volunteer hours making improvements. 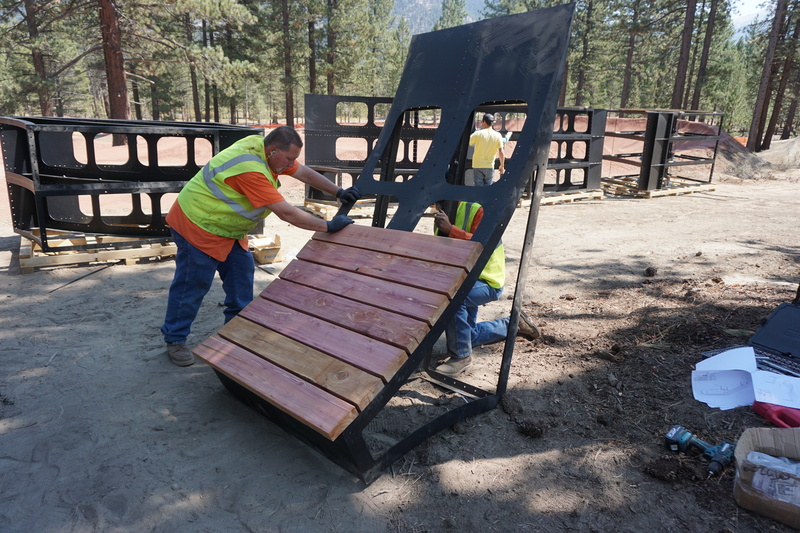 The signs were printed free of charge by Heavenly’s local sign shop and the California Conservation Corps sent volunteers to help install them. After two years the Bijou Bike Park proves it is an integral part of the community and has attracted national and international attention from magazines, newspapers and social media. Everyone involved should be proud and we’re lucky to have a world class bike park in our backyard. 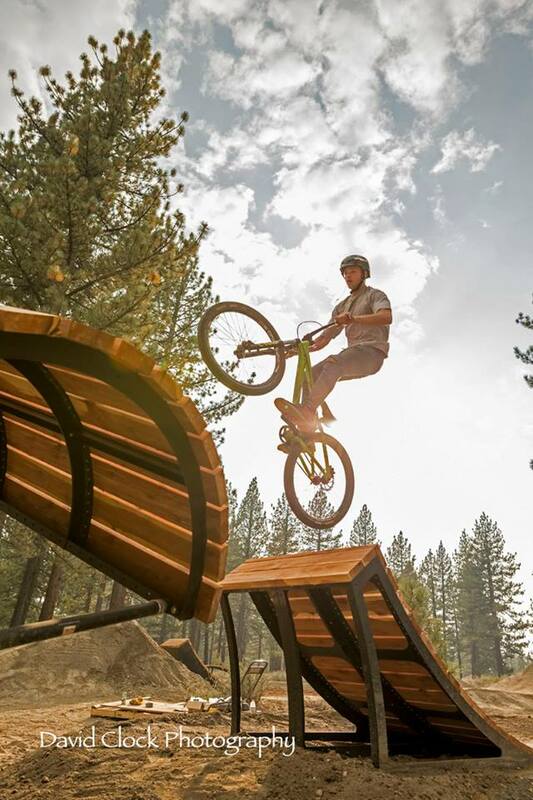 In addition, we were recently notified the bike park will be awarded a TRPA Best In The Basin Award at the Governing Board Meeting on September 28, 2016! The job is not done however. We still need a solid volunteer leadership group to help maintain and operate the park. 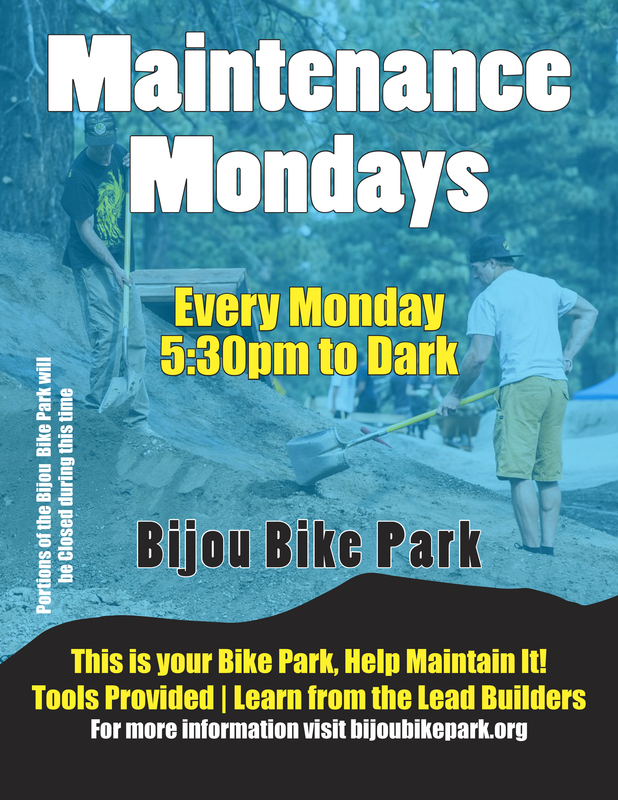 Our Maintenance Mondays have been sporadic and we could better use the bike park as a learning ground for the youth with free programs tied to the schools, Boys and Girls Club and other organization. If you would like to step up and help out please send an email (info @ tamba.org) or stop by any TAMBA event, board meeting or advertised Maintenance Monday. 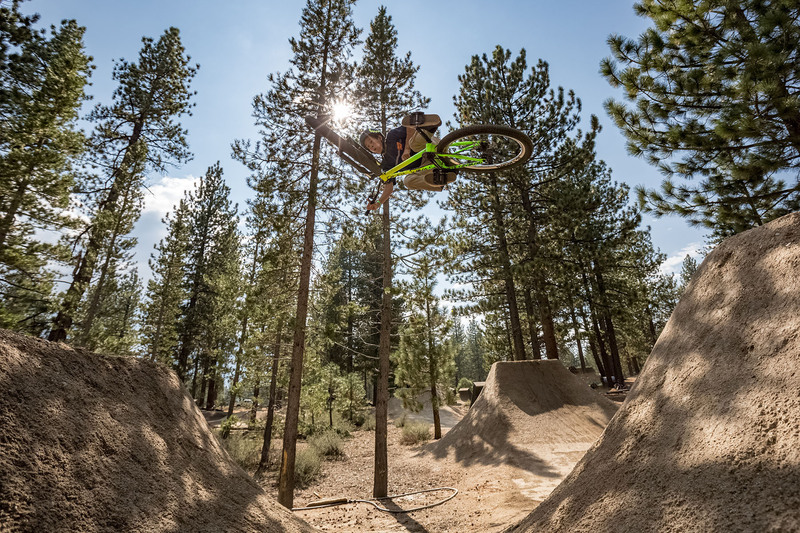 The future is bright for the Bijou Bike Park and we look forward to many more anniversaries! 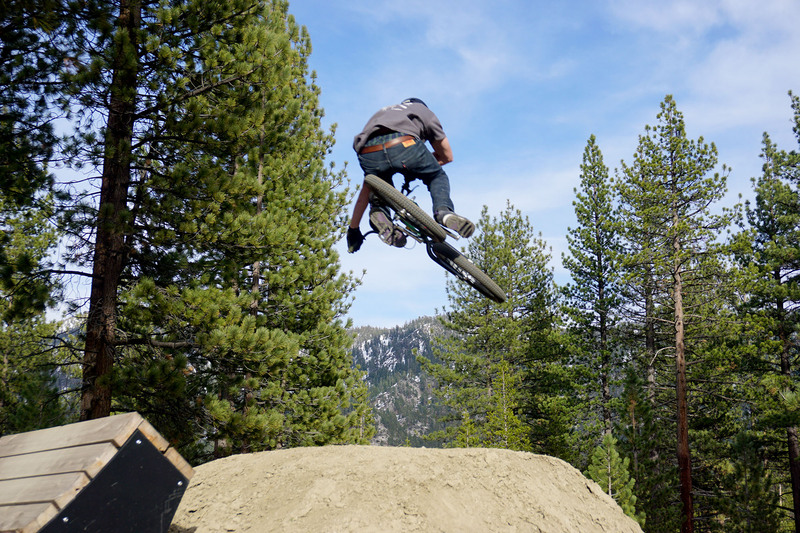 We’ll have some of the bike park open as weather permits this spring. 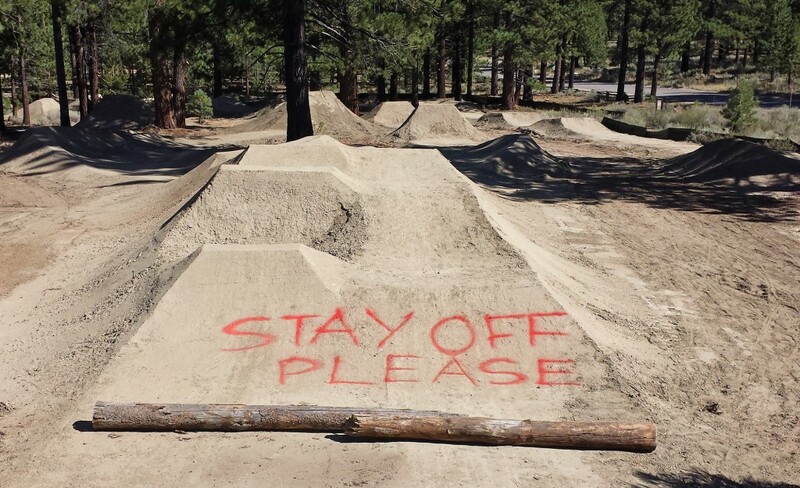 Right now the BMX track and large jump line are closed until they can be reshaped in early May. Otherwise the rest of the park is open including the pump tracks, small and medium jump lines and loop trail. 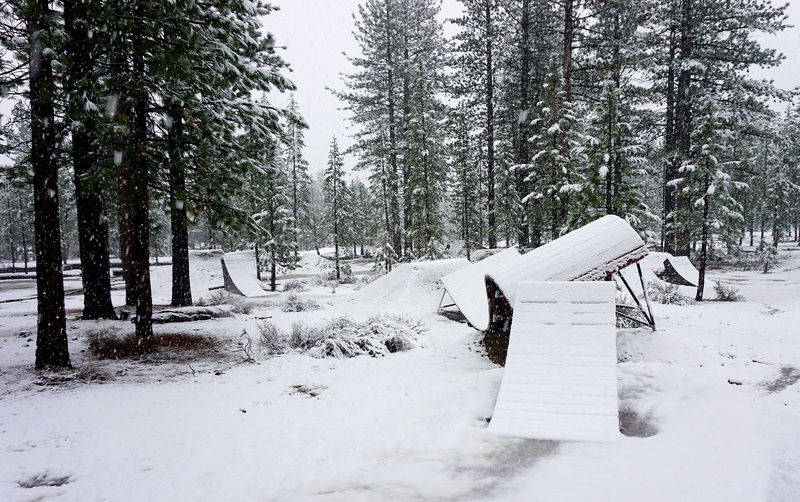 If more rain and snow comes the park will be temporarily closed again. 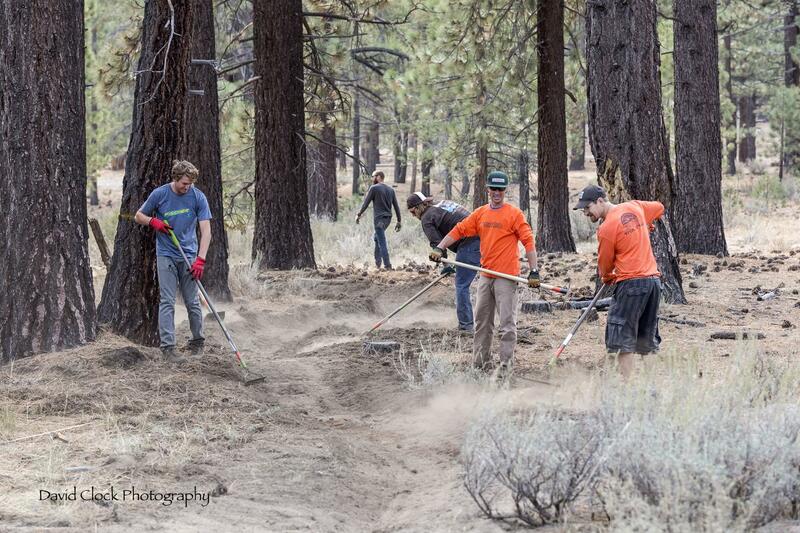 Please respect the park and closures, if your tires are sinking into the dirt it’s too wet to ride and will require more volunteer time to fix things up. The first Maintenance Monday is April 4, 2016. Here’s a few photos taken the first weekend of April. After being buried in the snow for 5 months, the park has held up great and the wood kickers allow us to open right away. Snow and rain has blanketed the park and we’re closed until things dry out. We’ll be reassessing the weather and condition of the dirt before reopening, stay tuned! 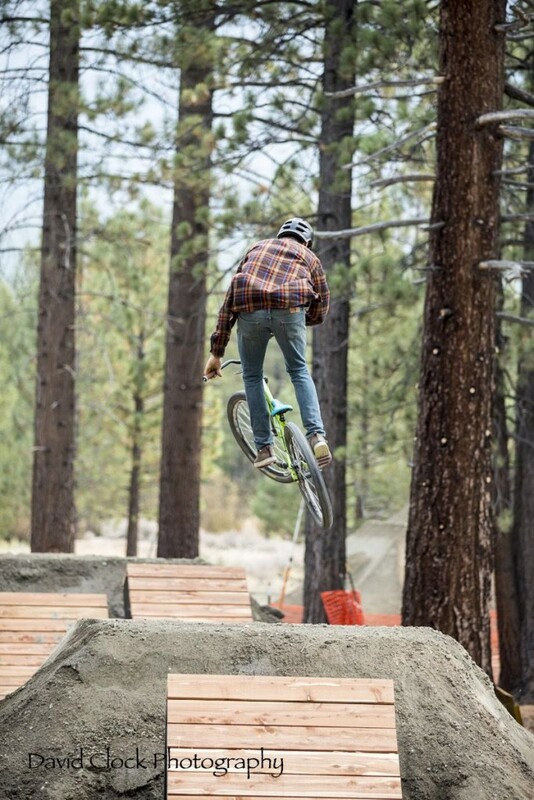 Join some of our lead builders (Cory, Kris, Matt, and John T) for a clinic to improve your skills at the bike park. 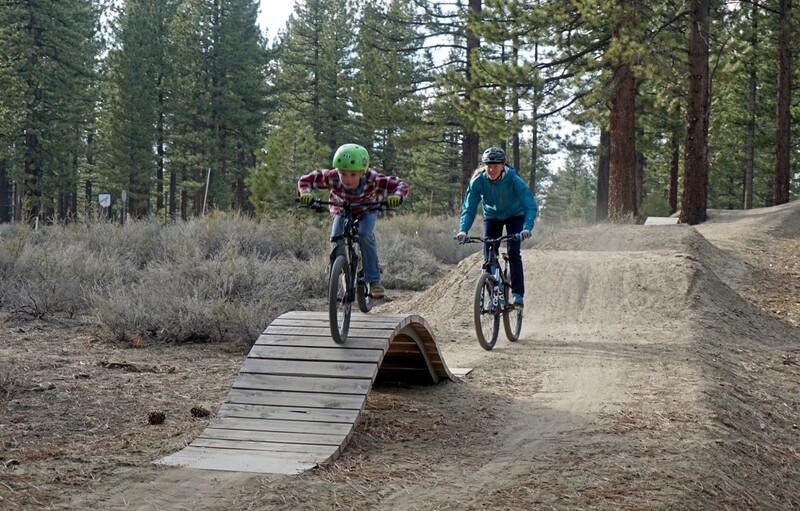 We’ll focus on jumping, pump track techniques, BMX and general bike handling. We can’t promise you’ll be riding The Hammock or Sharknado at the end of this, but you’ll certainly pick up some pointers. Donations are accepted and go directly into our maintenance fund. Join us every Monday from 5:30pm until dark to do some much needed maintenance on the park. We will provide the tools. 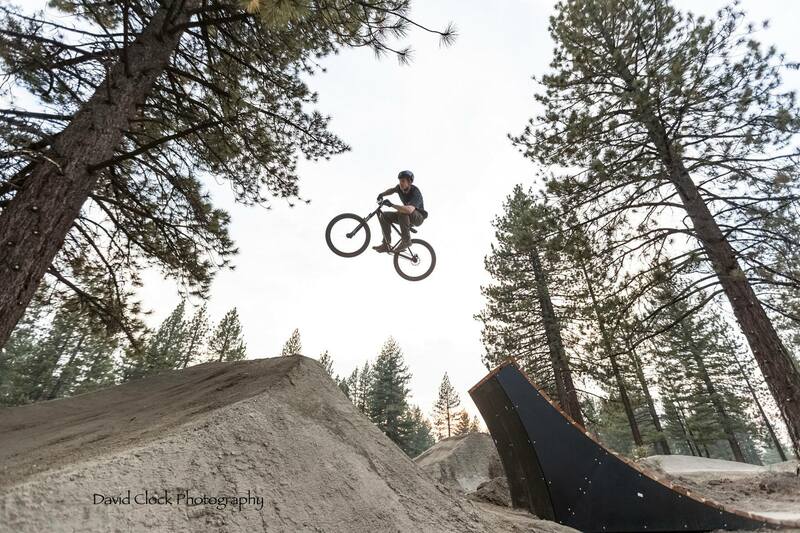 We’ve been out there everyday until dark getting the bike park dialed before the grand opening this Saturday. Here’s a preview of the riding and working. 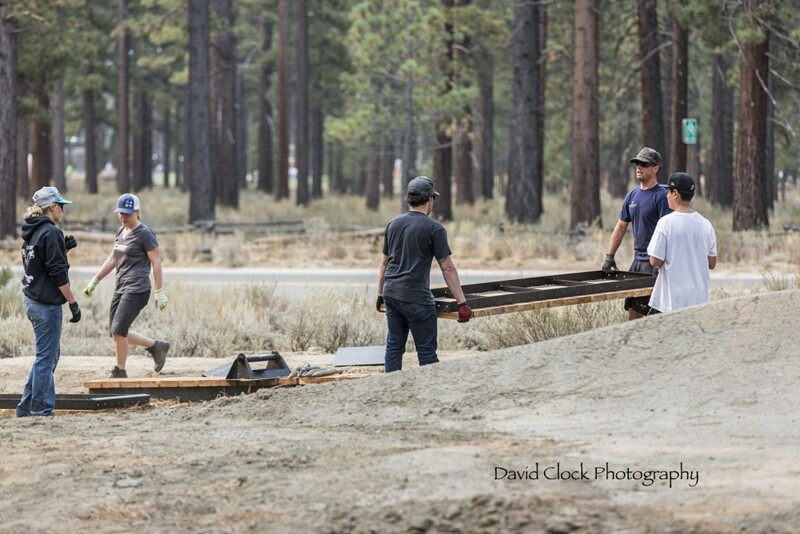 Join us for a big volunteer day this Saturday September 12th starting at 9am to get the bike park ready for the grand opening. We’ll be shaping a mini-flow trail, the loop trail and dialing in the jumps on the slopestyle lines. Free lunch and drinks provided. September 19th – Grand Opening! 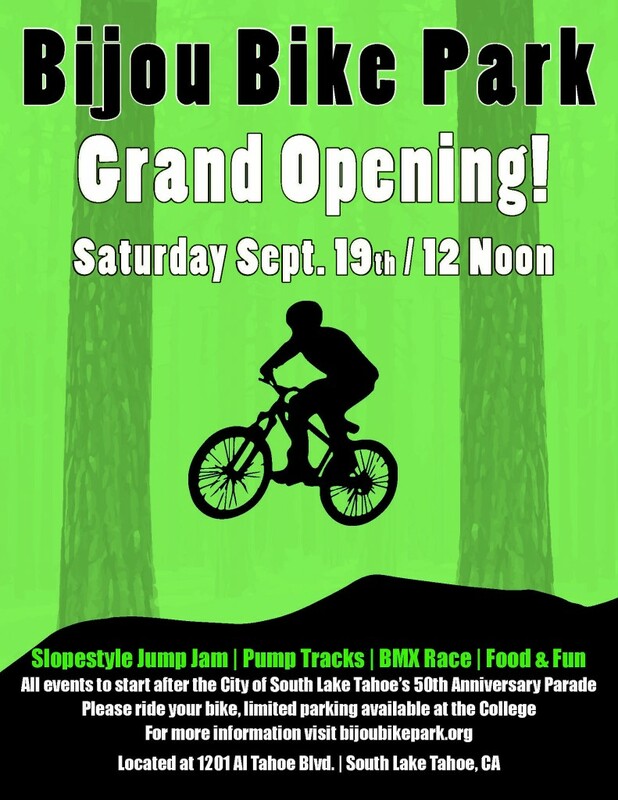 It’s official, the grand opening of Bijou Bike Park is Saturday September 19th! We will literally have a parade through town to kick off the events. 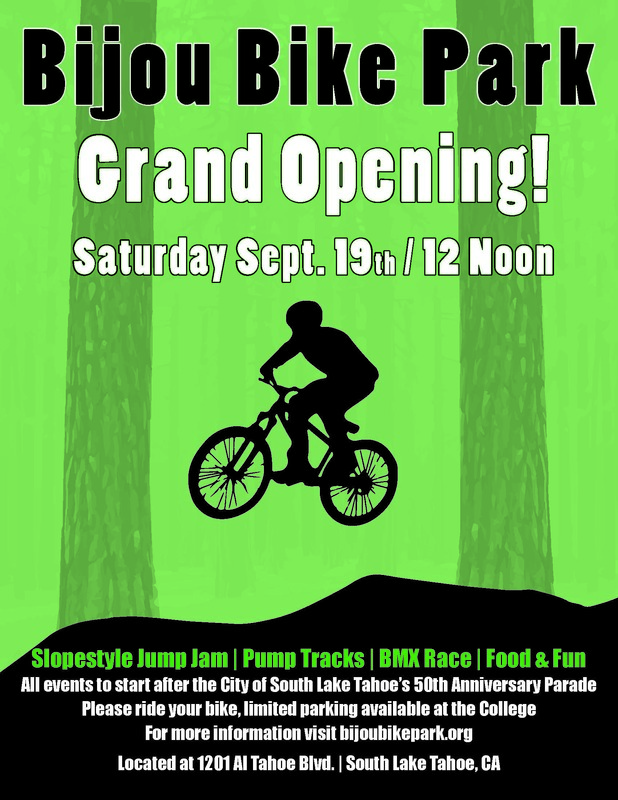 The City of South Lake Tahoe’s 50th Anniversary parade will end at the park around 11:30am and we’ll have a ribbon cutting around 12:30 then the park is open to the public. 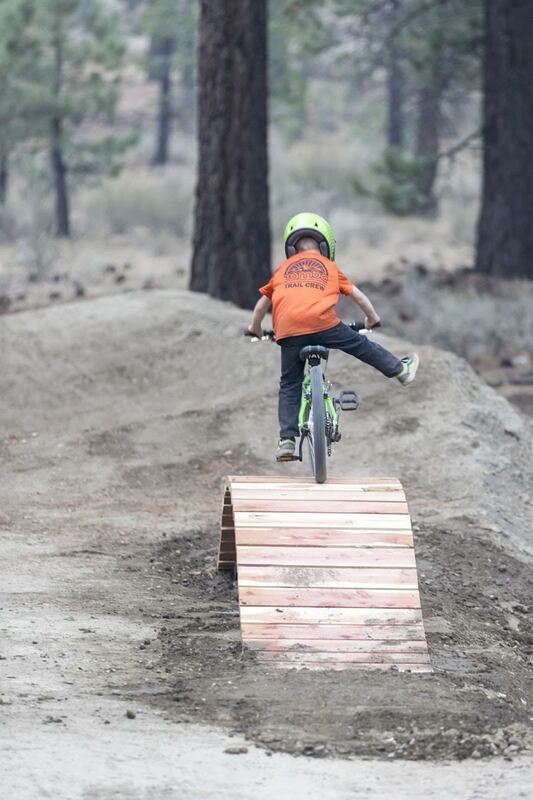 A jump jam at 2pm and a BMX race at 3:30pm. Limited parking will be available across the street at the College, so please ride your bike and don’t drive. Bring your family and your bikes and come celebrate!!! The park is closed to the public still, you might see people out there riding, but right now we only have the volunteer builders and their families testing as the build progresses. A tentative grand opening date has been set for Saturday September 19 – pending all construction is complete and the site is revegetated, signage installed and proper safety measures are in place. We need help! 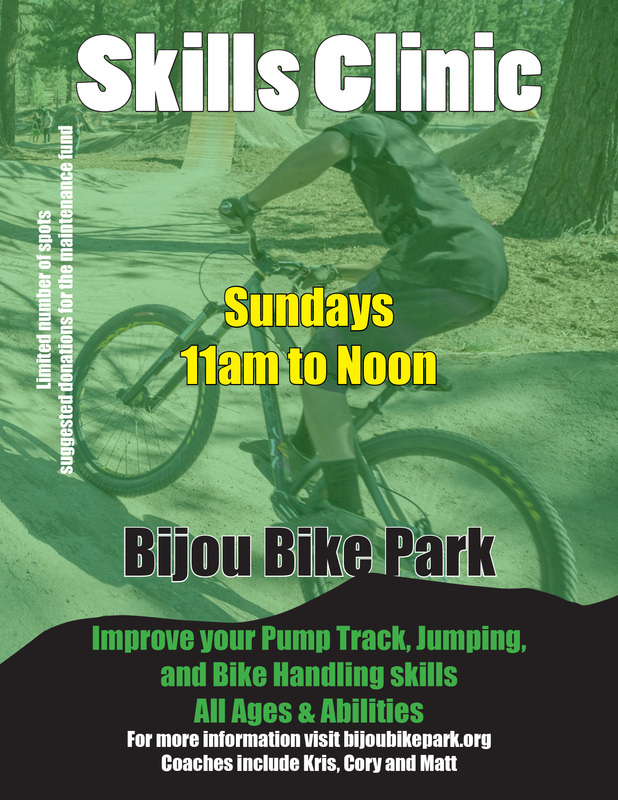 If you have any experience building pump tracks (or have an interest in learning) we need volunteers today through Saturday at the Bijou Bike Park to help with shaping. Our pro-builder Alex Fowler from PumpTraxUSA.com will be there the everyday from about 9am until dark leading the build and we’ll have TAMBA crew leaders there in the evenings. Bring a shovel if you can and join us!